Manila, with its beautiful sunny weather, friendly people, and the promise of success in a growing economy, makes for an expat’s ideal home in Southeast Asia. Despite the city's increasing population, housing developments, both high-end and low-end, remain widely available. You can choose from apartments, condominium units, and detached houses. Condominium units are the popular choice among expats, mostly due to its wide availability in the metro, 24-hour security, and convenient location. Condos near business districts like Makati and Ortigas are expensive. Costs can range from 8000 PHP (Philippine Peso) or 175.68 USD (US Dollar) to as high as 45,000 PHP (988.22 USD). Apartments are also common, less expensive option. These are found mostly in the surrounding residential barangays or towns in Manila. Monthly rent may range from as low as 5,000 PHP (119.31 USD) to 8720 PHP (191.49 USD). Detached houses for rent or even for sale are the hardest to find in Manila. Most of the brand new residential housings are located further from the city center and in provinces near Manila like Laguna, Cavite, or Rizal. The most important thing to consider in finding accommodation is the commute or travel time. Be forewarned of the daily traffic in Manila; it can be very congested especially during rush hours and during the rainy season. The Filipino people love to eat, and that is a love that most expats who are now living in Manila find very enjoyable to share. Family celebrations, meetings with friends, even workplace bonding, are best shared with food on the table. Thus, expatriates would find that good food is not scarce in Manila. Philippine cuisine has evolved over centuries of long-term encounters with foreigners in the country. Manila, in particular, has an interesting variation of Hispanic, American and Chinese cooking all ‘customized' to cater to the Filipino's unique palate. Popular dishes include lechon(whole roasted pig), longganisa (Philippine sausage), sinigang (pork or seafood in tamarind stew), and adobo (chicken and/or pork braised in garlic, soy sauce, and vinegar or cooked until dry). One thing that was unaffected by centuries of conquerors is the fact that Filipino food is almost always eaten with rice. A kilo of rice may cost about 45 PHP (0.99 USD). An abundance of root crops, which can also be used as an alternative to rice are also available throughout the year. A kilo of potatoes cost about 40 PHP (0.88 USD); sweet potato or kamote, cassava, and taro are also widely available. You can enjoy these dishes cooked at home or in great restaurants available throughout Manila. A meal for two in a mid-range restaurant costs 620.66 PHP (13.63 USD). You can even avail of an eat-all-you can buffet in a posh Manila hotel for about 1000 PHP (21.96 USD) only! Getting around the city of Manila is quite an enriching experience for most expats. For the commuter, there are a number of options, the most common of which is by bus. Buses have routes in, out, and around Manila. There are also numerous bus terminals that one can go to catch a trip to major provinces in the country. A ticket for a short trip within Manila and its neighboring cities in Metro Manila would cost about 12 PHP (0.26 USD) to 25 PHP (0.55 USD) depending on distance traveled. Another popular means of public transport is the jeepney. 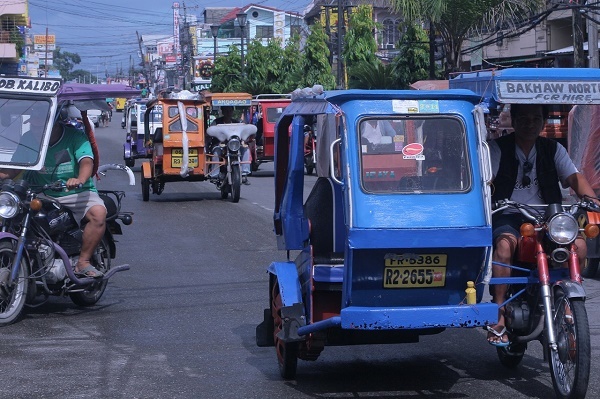 Inspired by the sturdy military jeeps used by the Americans during their time in the Philippines, the Filipinos have extended, expanded, and made it colorful. The jeepney is the most popular mode of transportation for getting people around. Fare in PUJs (public utility jeeps) may cost from 7 PHP (0.15 USD) to 12 PHP (0.26 USD). Taxi cabs are best for those who prefer a more comfortable means of travel. Flag down rate is 30 PHP (0.66 USD). Driving a car is also an affordable option for expats, as a liter of gasoline costs about 45 PHP or 0.99 USD. Remember, however that traffic in Manila can be bad at times so driving may not always be the best option. You can also opt to take the MRT (Metro Rail Transit) or LRT (Light Rail Transit) to avoid traffic jams. Both lines go through different parts of the entire Metro Manila. Fare on average is about 12 PHP (0.26 USD). Phone and Internet services can be availed of in bundled packages. There are a number of telecoms offering these packages, but the average monthly cost is about 1500 PHP (33.87 USD). The same goes for mobile phone services. Monthly electricity costs depend on usage. Note that the climate in Manila can be humid at times, especially during summer. So expect to use your air conditioning unit to a greater degree during those months. Average utility expense (including gas, water, and garbage collection costs) would be about 4059.11 PHP (89.14 USD). An expat's life in Manila can be luxurious and fabulous, or simple yet enjoyable; it's all about the lifestyle you choose to have. Either way, it would be something you can afford.